Austin Realtor© Cody Hobza, PhD of Kuper Sotheby’s International Realty, lists two common “Qs” and the top three “Ps” of listing a home for sale. I’ve been witness to countless situations where a seller did not take the necessary steps to ensure his and/or her home sold quickly, and all parties involved ended up unhappy. Selling one’s home can be an incredibly stressful undertaking, especially if it needs to sell in order to buy something new. “I’ve been witness to countless situations where a seller did not take the necessary steps to ensure his and/or her home sold quickly, and all parties involved ended up unhappy,” said Realtor© Cody Hobza, PhD, of Kuper Sotheby’s International Realty. To prevent that from happening to sellers, Cody shares two common “Qs” sellers ask when potentially listing a home for sale, as well as the top three “Ps” of getting a home sold quickly. Any reputable agent should be able to explain to a seller, in specific detail and based on sold comparables and market knowledge, why their home should be priced a certain way. “It’s completely ok to challenge that agent with one or more reasons your home should be listed for more than the best price/square foot revealed by the comps.” Pricing strategies can certainly be a collaborative process and it’s possible the agent may have missed something (after all, you know your home better than anyone else), but at the end of the day your agent has more access to relevant data and should have a very good grasp of this data prior to meeting with you. 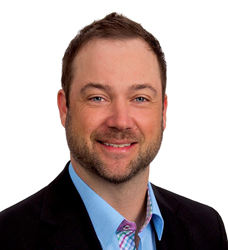 Cody Hobza is a buyer’s and seller’s agent and a Master Certified Negotiation Expert. Sotheby’s International Realty has the largest international presence in the business, and all properties it lists go to thousands of agents at over 900 Sotheby’s offices in 70 countries. For more information, please call Cody at (512) 739-2035, or visit http://codyhobza.kuperrealty.com/.